The "non-doers" - the information collectors. Panic time. So what does your "information collector" prospect do? He suddenly decides that he needs to investigate and research yet another opportunity. And this is the life cycle of the "information collector" prospects. They spend their entire careers investigating, researching, and studying ... to avoid actually doing something. They are experts at everything, they can tell you what is right or wrong about every opportunity, and they publish websites with their opinions and start Facebook Discussion Groups to regurgitate the same information over and over. Eventually, these prospects do grow up, and become ... critics. Yes, it is easy to criticize people working to accomplish things. But until one actually puts together a marketing campaign, runs a recruiting campaign, or leads a team of non-leaders, we don't know how hard it is. It is always easier to be a consultant and point out what others are doing wrong. It is harder to actually accomplish something ourselves. #1. You can leave them alone and allow them to take up another person's time. #2. You can try to move them forward and actually start a network marketing career instead of just talking about it. "You are probably tired and bored with collecting more information and theory. 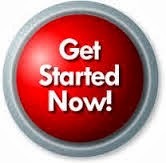 So if you are ready to actually start building a business, when would be a good time to start? Or would you rather put off building a business for a few more months?" This seems to sort out prospects pretty quickly. "Oh, I need to think a few weeks more about how much money I would make if I actually knew how to build a business." Then you know to go to Option #1: Leave him alone. "Oh, maybe I should start building something. The longer I delay, the longer before I start getting a check." Our responsibility is to at least give them the option of starting their business so that they don't age gracefully in information-collecting mode. Free Starter Kit Promotion is Back! The Healthy Home has provided you with answers for making your house a healthy environment for your family. Now the purchase of the book could earn your new Associates a free Starter Kit. That’s right, from April 23 to May 7, 2011, each new Associate who enrolls online with a primary book code on USANAtoday and generates sufficient sales volume to activate a 1 or 3 Business Centers will receive a free BDS. Even the shipping is free! But something as great as Free Starter Kits can’t last forever. What’s the expression? Nothing free can be around for long—or something like that—so take advantage of this incredible opportunity before it ends on May 7. Just remember, sponsors who wish to participate in this promotion must have a primary book code on USANAtoday, and opt-in/register. Sign up today! Whether you’re getting ready to begin the RESET™ weight-management program or you’re just making small changes to create a healthier lifestyle, appetite control is key. 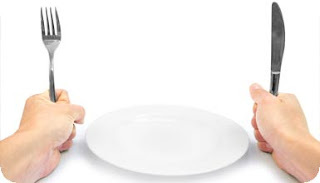 There is an obesity epidemic, and a large part of the problem is excessive snacking on unhealthy food between meals, creating almost instant cravings for more unhealthy food. So how do you control your hunger and manage your body weight without eating more? Our top 10 food picks are listed below. They were chosen not only for their abilities to control hunger, but for their duel efforts as well, since each of them offer some amazing health benefits. And while this is a comprehensive list of our favorite foods for kicking hunger to the curb, a full explanation of the health benefits of each food is available on our award-winning blog, What’s Up, USANA? Oatmeal has one of the highest _______ ratings of any food. Do you know what it is? Beans, beans, the fiber-filled food…How many grams of fiber should YOU be consuming each day? The answer may surprise you. Do you know when red grapes are in season in North America? Remember, all fish is NOT created equal. Which kinds should you be eating? A study shows that eggs are typically more satisfying than THIS typical breakfast food. What are the health differences between walnuts, almonds, and Brazilian nuts? For best results, make sure your yogurt contains THIS. Are avocados a vegetable or a fruit? This fast-paced life is stressful enough without adding the pitfalls that come from eating unhealthy food. Snack smart between meals by drinking Nutrimeal™ and adding these low-glycemic super foods to your diet. Give your body every advantage possible. You deserve it! Go to What’s Up, USANA? for details and more information about what makes each of these super foods so incredible. USANA operates in fourteen markets worldwide: The United States, Canada, Australia, New Zealand, The United Kingdom, The Netherlands, Hong Kong, Japan, Taiwan, Korea, Singapore, Mexico, Malaysia, and The Philippines. USANA recently entered China with the acquisition of BabyCare, Ltd. - http://www.baoying.com/ The USANA worldwide corporate headquarters is located in Salt Lake City, UT, US. USANA Health Sciences is publicly traded on the NYSE® Stock Exchange under the symbol "USNA." The company has been publicly traded since 1995 and has traded on the NASDAQ® since July, 1996, and on the NYSE since January, 2011. $93,000 is the average yearly income for an established, full-time USANA Associate. $24,500 is the annual average of those who earned as little as one commission check each month. Total includes all earnings from the Compensation Plan, Leadership Bonus, Matching Bonus, contests, and incentives. Calculations based on earnings for fiscal year 2009. Figures should not be considered as guarantees or projections of actual earnings, which result only from consistent, successful sales efforts. 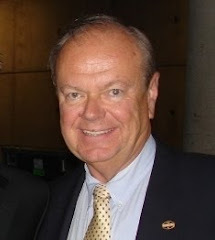 To date, USANA has more than 150 Associates who are lifetime Million Dollar Club members. 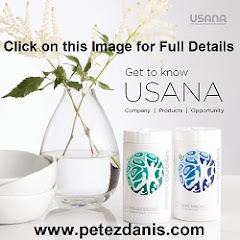 USANA has been rated the #1 company in network marketing for eleven straight years, and has received numerous awards and recognition for its scientific and business achievements over the years. Q. Can Network Marketing be done successfully part-time? A. Absolutely....it's very common in fact. You can start your Network Marketing business on a part-time basis without giving up your current source of income until your Network Marketing business is generating the income you require. And the best part is that you can continue to operate indefinitely on a part-time basis. What would you do if you were financially independent and most of your time was free to do with as you pleased? This is why so many people are flocking to Network Marketing. And that's why we say that Network Marketing puts the freedom back in free enterprise! Q. Do I have to sell products door-to-door or hold parties or meetings? A. No. One of the greatest features of Network Marketing is that success can be achieved using a wide variety of methods. You choose the methods that YOU are comfortable with; whether that means direct mail, distributing catalogs, telemarketing, meetings, one-on-one, in-home parties, via fundraisers, commercial accounts, and so on. Q. Isn't Network Marketing one of those pyramid schemes? A. Definitely not. Though Network Marketing and pyramid schemes do share some similarities, there's a very important difference that makes the latter illegal. You see, in pyramid schemes, income is generated solely on the process of recruiting others into the pyramid. Sometimes a product or service of questionable value is involved (that is never retailed to the general public by the way), but generally what you're buying is the right to recruit others into the scheme. This is illegal. Also, in pyramid schemes, those who get in first and who are at the top win, while everybody else loses. In a legitimate Network Marketing company, on the other hand, distributors are paid only on product movement; not on recruiting. Both at wholesale and retail. There's also compensation based on the training and managing of your marketing team. And unlike illegal pyramids, in Network Marketing, no matter where you're positioned or when you join, you can advance to the very highest income levels and even make more money than those above you in the network. Q. I'm not a salesperson, so this probably isn't for me. A. Actually, studies have shown that people with no sales experience do great in Network Marketing. In fact, the studies show that they often do better than those with previous sales experience. This is because Network Marketing isn't about selling; at least not in the way most people think of selling. There's no place for arm-twisting or high-pressure techniques in Network Marketing. Rather, Network Marketing is simply about sharing the concepts and products of your Network Marketing company that you use and you're excited about. A. The bottom line is you'll get out of it what you put into it. It works...if you do. But that's the beauty of it, too; you are in control; it's up to you how far you take it. And don't forget, the income you create in Network Marketing is residual. This basically means that for the work you do just today, you have the potential to earn money not only for today but for years to come. Q. Do I have to sponsor a lot of people to be successful? A. No, if you can sponsor just one person every month or two, you can do great in Network Marketing. Q. What's so important about sponsoring in this business anyway? A. It's like this: it doesn't matter how intelligent, rich, energetic, or dynamic you are; we are all limited to the same 24 hours a day. By sponsoring, however, you can overcome this limitation. By sponsoring, you can virtually clone yourself and have dozens, hundreds, even thousands of people all working indirectly on your behalf on their time -- and receive a cut of everything they do. Sponsoring also builds your security in this business. Why? In most traditional businesses, what happens if you become ill or disabled and are unable to service your customers? Or perhaps you just want to take a nice long vacation? Whatever the case, you could lose most if not all of your income overnight because it relies on you being there. That's not owning your own life and that's certainly not financial freedom. Through the process of sponsoring and building a downline in Network Marketing, however, you can create total financial freedom for yourself. With a downline of independent business people working for you, you no longer have all your eggs in one basket. On the contrary, because each person in your downline has a vested interest in continuing and building their own businesses, you create an income that is non-dependent upon you -- an income that can continue, even grow, indefinitely with or WITHOUT you. Q. Do I have to stock and deliver products? A. Most Network Marketing companies today allow its distributors (and often even retail customers) to order direct from the company. The company simultaneously tracks your commissions, credits your account, and automatically sends you a check for the total amount due. Q. Isn't Network Marketing just another "get-rich-quick" scheme? A. No, "get-rich-quick" is a fairy tale. It just doesn't happen in the real world. Sure, there are a few exceptions, but they're extremely rare. In fact, if overnight riches is your dream, your odds are probably better playing your state lottery than doing it in business -- any business. Q. I couldn't get involved in Network Marketing. It's not a "real" business. A. It's very real. Network Marketing is now a multi-billion dollar industry involving millions of independent business people and major U.S. corporations like Colgate-Palmolive, Gillette, Sprint, and MCI, just to name a few. And it's a rapidly-growing international force, too, with thousands of Network Marketing companies already in operation in Canada, Mexico, Europe, Japan, Australia, New Zealand, and the Pacific Basin. Q. If Network Marketing is so great, why aren't more people involved? A. That can be summed up in one word: misconceptions. The general public just doesn't understand what Network Marketing is or its potential. But that's finally starting to change. Right now it's estimated that only about 2% of the U.S. population is involved in Network Marketing. But industry experts predict that that number could climb to 10% by the end of this decade. You can position yourself to take advantage of this trend by getting started in Network Marketing now. The timing is great for getting involved! Q. What are the costs involved in starting and operating this kind of business? A. 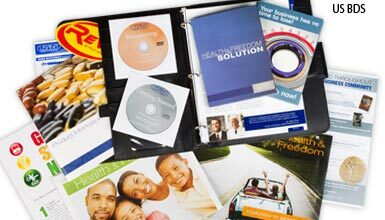 Virtually all Network Marketing companies require you to first purchase some kind of "Starter Kit." This is a one-time cost, and is usually less than $100. 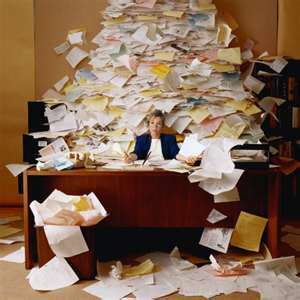 In addition, of course, you'll have monthly expenses for office supplies, postage, advertising, etc. A total of $50-$150 dollars per month is probably a realistic expenditure to expect. Anyone can afford this amount of money without jeopardizing their current lifestyle while they're trying to build a better one. And here's some more good news -- most, if not all of that, is tax deductible. Q. What if I can't afford to buy extra products. A. You're not supposed to. Network Marketing companies just want you to replace those products you now buy elsewhere with the equivalent-but-higher-quality products your Network Marketing company manufactures. By doing so, you'll likely save money since you now get to buy at wholesale. Plus, it only makes sense to buy from yourself -- to buy from "your own store." Q. I've tried Network Marketing before and it didn't work for me. A. Let's say you've just moved into a new city and you decided to go out to eat that evening. Unfortunately, the food at the restaurant you picked turned out to be horrible. But just because of this one bad experience, you surely wouldn't swear off eating at all the other restaurants in the city, would you? Of course not! Network Marketing is no different. There are fair Network Marketing companies, great Network Marketing companies, and, yes, even some bad Network Marketing companies. But Network Marketing works! You just need to link up with the right company. Q. I don't have the cash right now to get involved in Network Marketing. A. Get it! If a brand new $60,000 Mercedes were offered to you for $100, would you find the money somehow to buy it? Go and get the money because your own Network Marketing business could be worth a lot more than that Mercedes. Q. I can see how others have become successful, but I don't think I could do it. A. People of every age, every background, from every walk of life are making it in Network Marketing today. If you have the desire, you can succeed in Network Marketing. Q. If I would happen to be sponsored by someone half way across the country, how do I get questions answered? And what about training? A. Free consultation and assistance from your sponsor, other upline associates (and often the corporate staff of your Network Marketing company) is a phone call away. Faxes, E-Mail, Voice Mail, and other new technologies also provide fast and efficient communications between upline and downline...no matter where they're located. As for long-distance training, this is easily handled through video training tapes, audio tape seminars, books, online computer and telephone conferences, etc. Q. I just don't have the time to start a Network Marketing business. I've got too many irons in the fire already. A. That's precisely why you should consider Network Marketing. Besides creating financial freedom, Network Marketing is specifically designed to create personal freedom for you so that you can do all the things in life you really want to do that you don't have the time for now. Q. Don't you have to get in at the beginning to make any real money? Doesn't saturation eventually occur? A. That's another big misconception that's been perpetuated by the media for years. 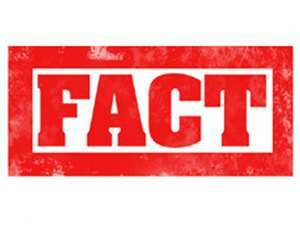 The fact is, there has never been any evidence produced that "saturation" occurs in Network Marketing. This very topic was debated in U.S. courts at one time and that was the conclusion by the courts. Secondly, realize that because Network Marketing is still a very young industry, there are hundreds of millions of prospects worldwide who have never even heard of Network Marketing. It will take years to even make a dent in that. But here's the main reason why "saturation" is a myth: Timing. In the U.S. alone, there are tens of thousands of brand new prospects "hatched" every year. Part of that figure is young adults who have only just reached the stage in their lives where they'd consider (and could afford) to start a business. Then there are the thousands who have just experienced a major shift in the direction of their lives because of changes at work, at home, etc. These same people, who just months before could in no way, shape, or form be considered prospects for Network Marketing, NOW are suddenly very open to the proposition. And this is happening constantly. Bottom line: The market is wide open and the potential is enormous. The Healthy Home Makes The New York Times Best Seller List! the Big Time—The New York Times! I am very pleased to tell you that The Healthy Home has hit #7 on the New York Times Best-Sellers List and is also a best-selling book on Amazon.com. I hope you’ll join me in celebrating this great news and sharing it with your team, friends, and family! The April 17 list will go live on the New York Times website this Saturday, April 9. Dr. Wentz and I want to thank you for all of your support in making this book and The Healthy Home Book Tour a huge success! We have been amazed by your enthusiasm and encouragement for this project at every turn. We would also like to give a special nod of appreciation to our Founder’s Club Members, whose early support for this project made it all possible. Now that we’ve made the best-seller list, let’s keep it there! The Healthy Home shares a message that Dr. Wentz and I—and the rest of the USANA Family—are truly passionate about. So we hope you’ll consider sharing the book with friends or family members and starting a conversation about how they can make simple changes, from airing out their dry cleaning to taking their vitamins, to help ensure a longer, healthier life. It’s appropriate that we’ll be celebrating our New York Times Best Seller in New York City on Monday, April 11. If you can’t join us in New York for the book tour, we hope you’ll watch Dr. Wentz and me ring the New York Stock Exchange opening bell on CNBC at 9:30 a.m. (EDT) or online at www.nyse.com. It will be a packed morning—I’ll also be appearing on CNN American Morning at 8 a.m. on Monday to talk about the book. The Healthy Home and the book tour has already received plenty of press, including an article on People.com. And you can see all the buzz the book has received on MyHealthyHome.com. Once again, thank you for your support and enthusiasm for this project. Working together, I know we will be the healthiest family on earth!